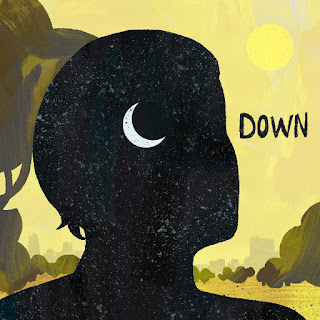 Our new album, Down, is now available anywhere, in CD form (always the best sound quality), download, and streaming. It's a follow-up to the more bouncy seventh release, Innocent Sin. As always, if features musicians from the Saint Louis community, with a few guests from other places. One unexpected guest is Matt Kaden, formerly of Boston's Soothing Sounds for Baby. He plays drums and sings a bit. I'm excited to announce that the visual artist for the actual CD cover is Tom Moore. The CDs are printed in Digipack format, rather than the usual jewel case.